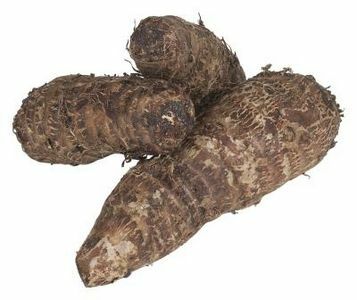 The Yam is a staple food in many tropical countries, particularly in Africa, the Caribbean and the South Pacific. Yams are primary agricultural and culturally important commodity in West Africa, where over 95 percent of the world's yam crop is harvested. Yams are monocots, related to lilies and grasses. Native to Africa and Asia, yams vary in size from that of a small potato to over 60 kilograms. Although they are available throughout the year their season runs from October through December when they are at their best. 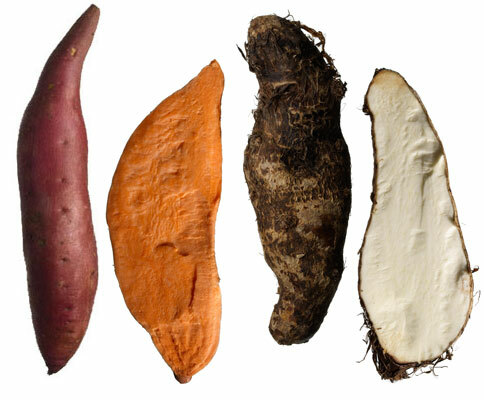 Here in the Caribbean, Yams are part of a group of foods we call Ground Provisions or just provisions. 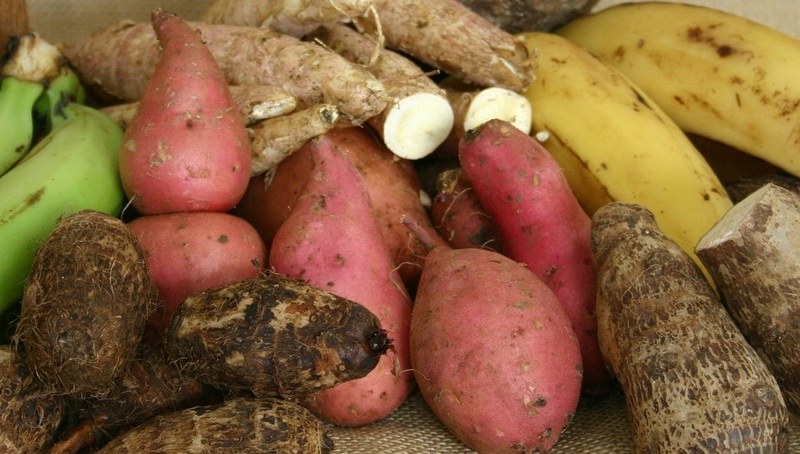 There are many different varieties of Yam, with flesh colors varying from white and ivory with brownish-black thick skin, the most common in the Caribbean, to yellow to purple flesh with white or pink skin. Their shape is long and cylindrical oftentimes with offshoots referred to as "toes" while their exterior texture is rough and scaly. Although the sweet potato has also been called a yam in parts of the United States and Canada, it is a completely different root vegetable. Creamy or firm when cooked, Yams, unlike Sweet Potatoes have an earthy, hardy taste and usually a minimal amount of sweetness. Ground provisions include a number of traditional Caribbean starchy vegetable and fruit staples that are planted in the ground. They are often cooked and served as a side dish in local cuisine. Examples include, but are not limited to, yams, potatoes, bananas, cassava, pumpkins, and breadfruit. 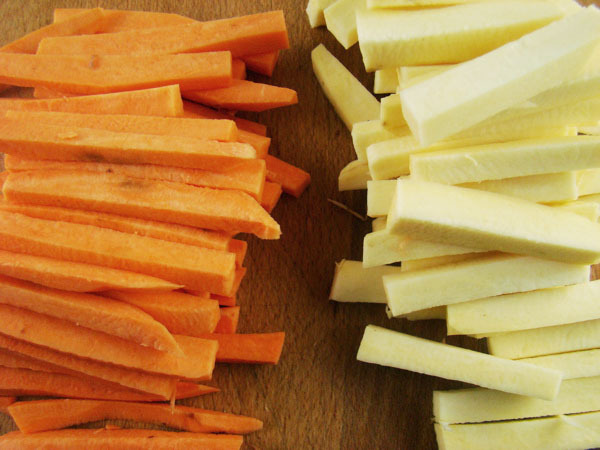 Ground Provisions are often used interchangeably in many recipes and local recipes will often simply call for ground provisions rather than specify specific vegetables.